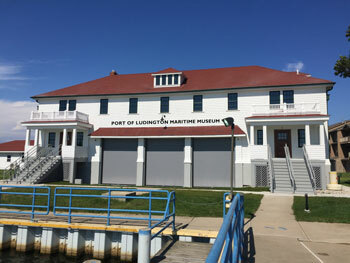 Residents and visitors alike are invited to step back in the past and learn about Ludington's rich maritime history at the Port of Ludington Maritime Museum. Located in the former US Coast Guard Station, a landmark on the National Register of Historic Places, the museum entertains, enlightens, and instructs. 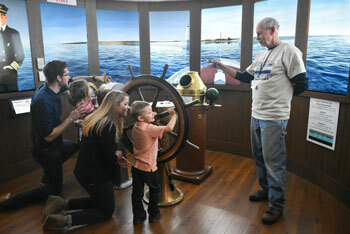 Visitors can pilot the famed carferry Pere Marquette 22 into Ludington’s harbor, meet holograms of both Captains Nels Palmer and Andy Van Dyke, and enjoy several interactive exhibits. The museum focuses on Ludington's harbor history, our carferries, and the Coast Guard. There are three major "hooks" to the museum--one being a 110-foot panorama painting of Pere Marquette Lake and how it looked in the 1800s. There is also a tribute to the Pere Marquette 22 carferry... featuring the pilothouse itself. The third attraction is a scale model diorama of the Elberta railyard, built by blueprint designer Art Gerritsen and donated by his wife to honor his memory. Since the building which houses the museum was once the Ludington headquarters for the Coast Guard, this is considered a "museum within a museum" and will pay tribute to the men and women who serve on our lakes. And, coming soon, a new United States Coast Guard Exhibit will be added to the museum and ready for visitors at the reopening in the spring of 2019! An exhibit specifically on the story of the Badger and its service from Ludington is located on the 3rd floor of the maritime museum and tells the fascinating history of the Badger as the last of the carferries and a National Historic Landmark, as well as a cultural treasure of Ludington's maritime heritage. 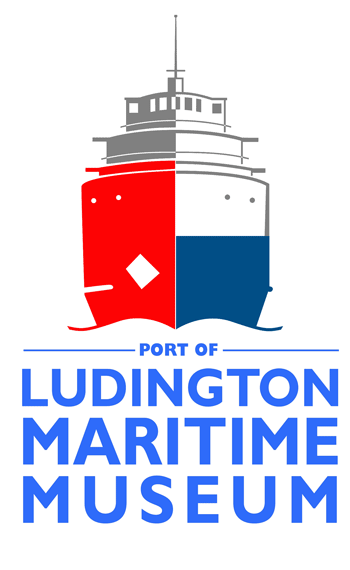 The Port of Ludington Maritime Museum will be open Saturdays in March. From April through Memorial Day it will be open Tuesday through Saturday. From Memorial Day through Labor Day, the museum is open seven days a week. The hours of operation will be 10am-5pm unless otherwise noted. Admission Prices: Adults $12.50, Seniors $11.50, Children (6-17) $10, Children (under 5) free. Visit both The Port of Ludington Maritime Museum and its sister museum, the Historic White Pine Village, with dual ticketing: Two Museums for one great price! The museum opened in June of 2017 but fundraising efforts continue. 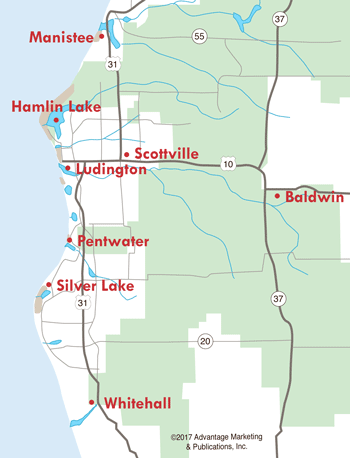 So far, the campaign has raised over $5 million, with many local businesses contributing, including a $100,000 donation from the Ludington Area Convention and Visitors Bureau. The community has shown that there is overwhelming support for the Port of Ludington Maritime Museum. Please help support this project, so that generations to come can enjoy and learn about Ludington's rich maritime history. To donate, call Mason County Historical Society at (231) 843-4808, or email Rebecca Berringer at rebecca@mchshistory.org. 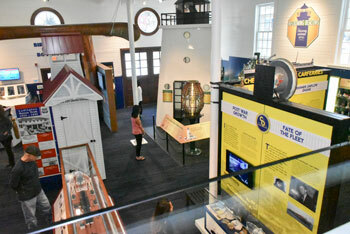 You can also visit www.LudingtonMaritimeMuseum.org for more information. Interested in discovering more maritime museums around Lake Michigan? See our story about the Wisconsin Maritime Museum in Manitowoc.